Celebrators have reported BRIQUE is permanently closed. 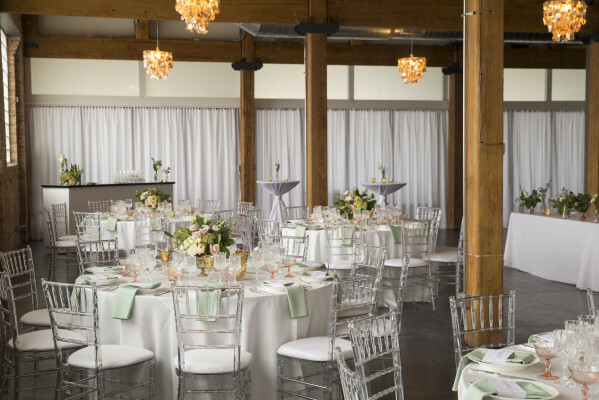 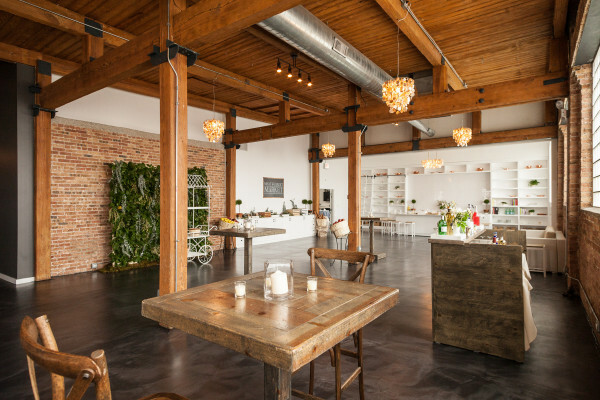 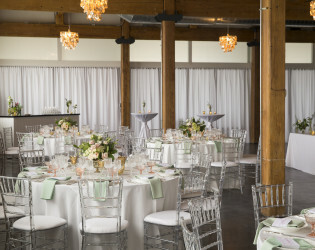 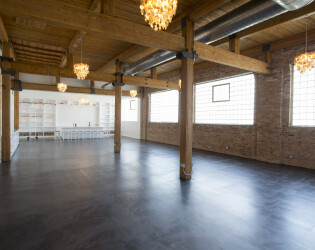 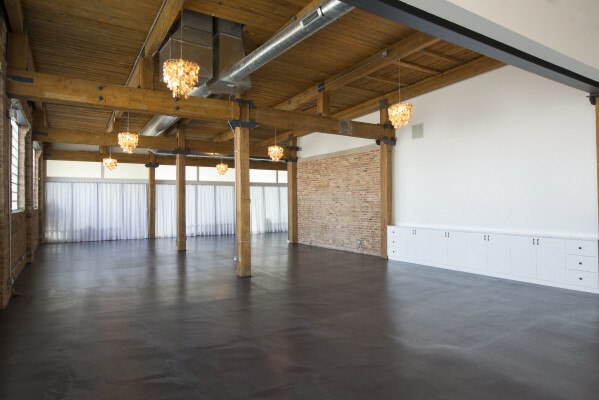 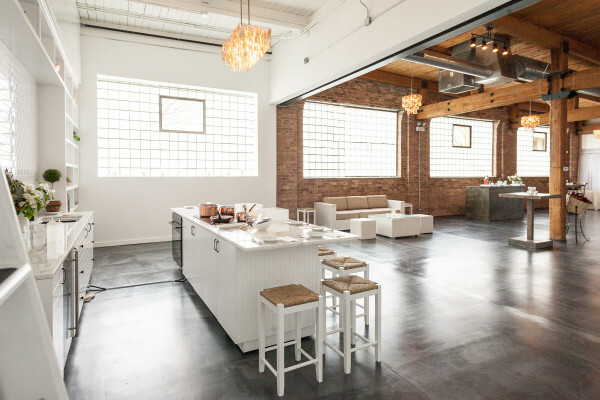 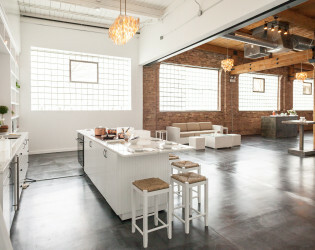 Shine on in this spotless Chicago loft that's ready for the trendy and sophisticated to come together for anything you're up for—wedding reception, company luncheon, or holiday party. 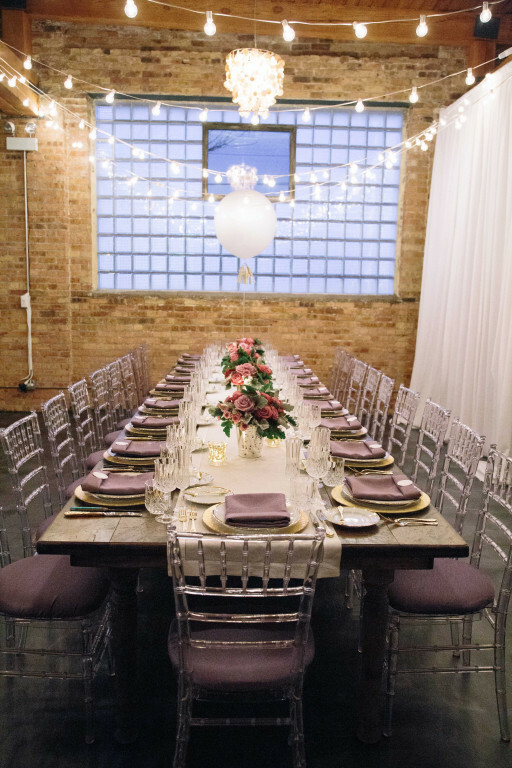 Exposed brick and white curtains maintain a calm, classy atmosphere that's poised for roaming photographers. 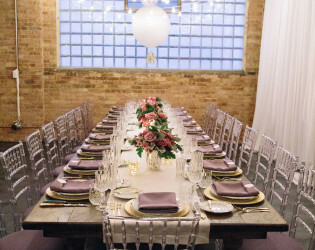 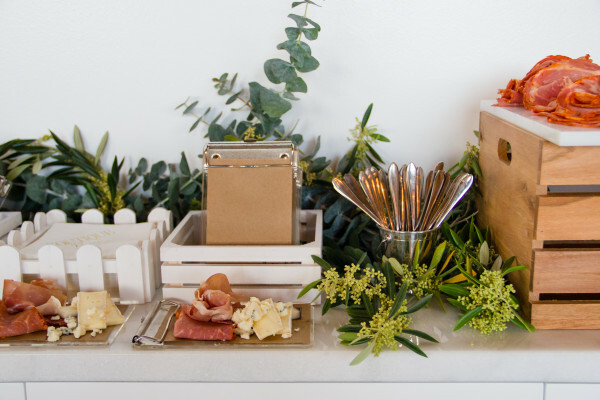 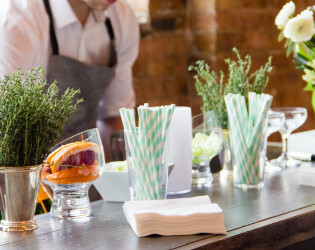 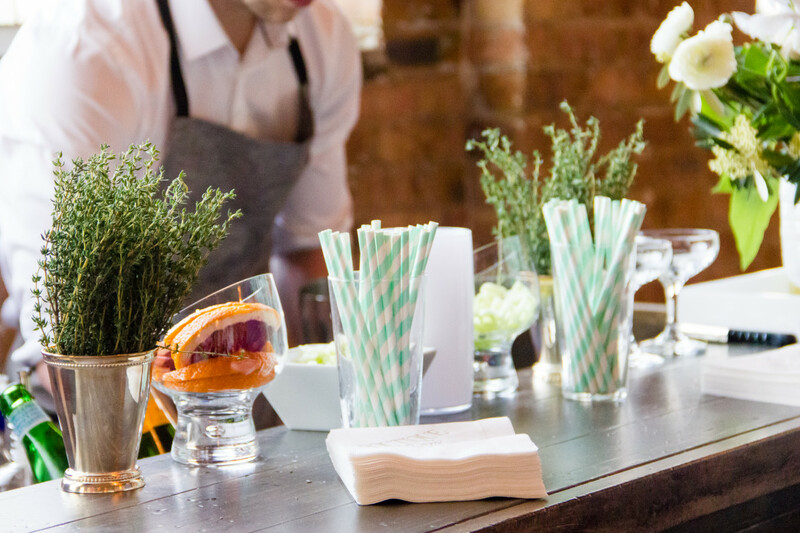 Treat yourself to the venue's exclusive Boutique Bites catering, from truffled-salted mac 'n cheese bites to saffron polenta cakes. 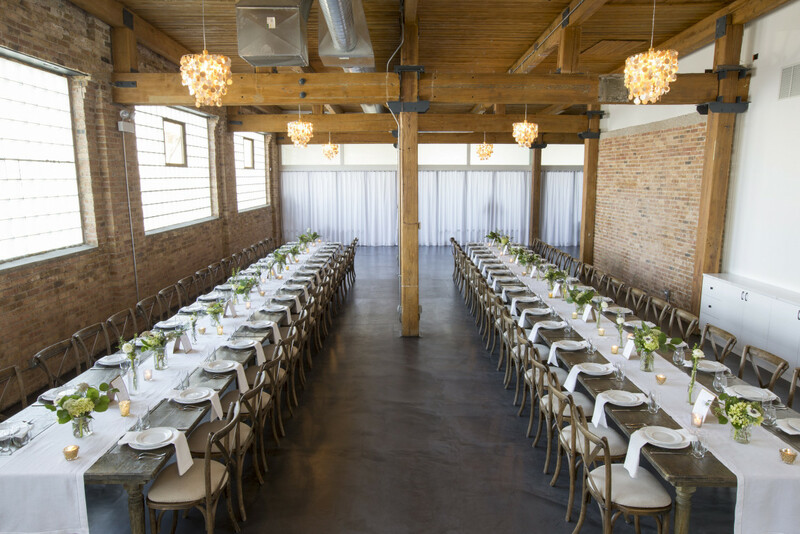 BRIQUE, opened in 2015 by the team behind Boutique Bites, is an intimate, chef-driven venue located in Chicago’s popular West Loop neighborhood. 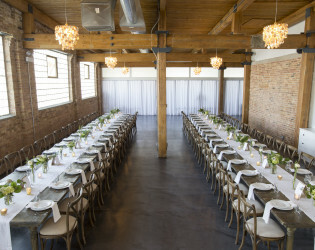 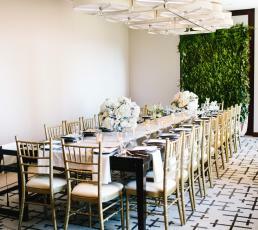 The space features brick walls, exposed beams, and gold capiz chandeliers. 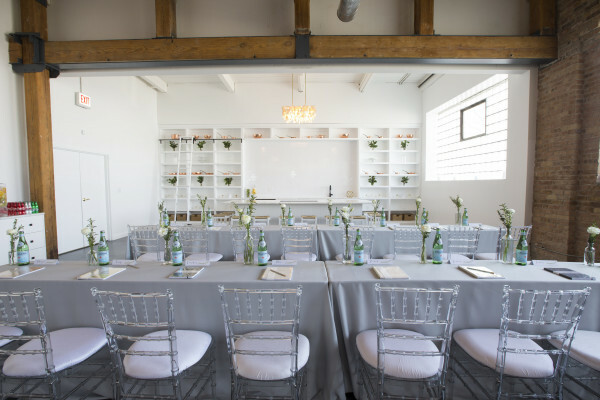 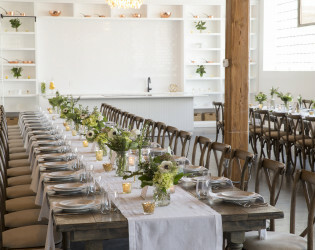 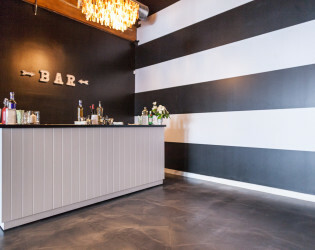 The dark gray finished concrete floors exude a cool, chic vibe which perfectly balances the nautical farmhouse look of the venue. 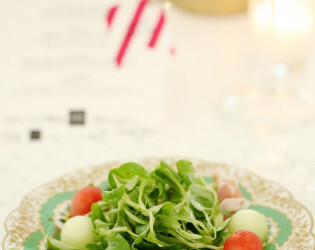 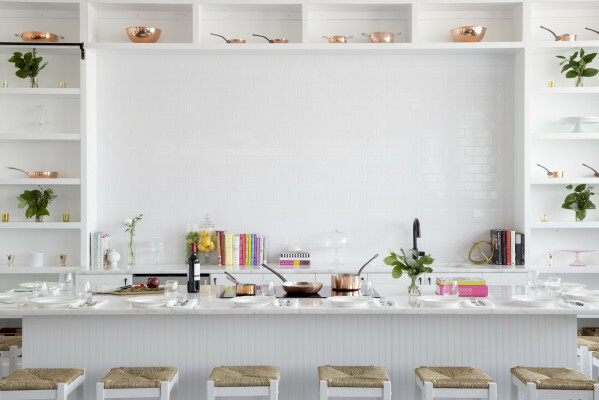 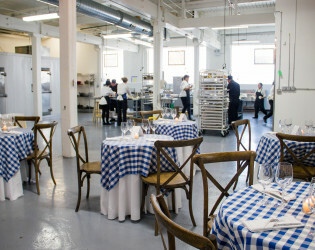 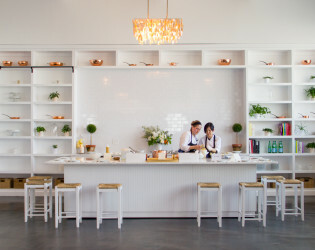 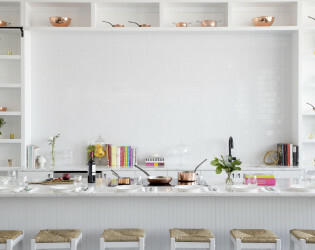 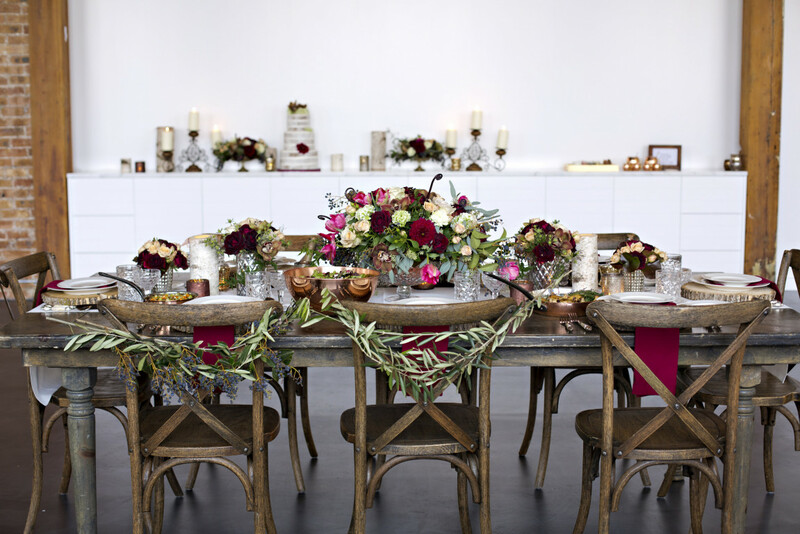 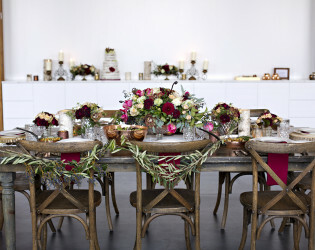 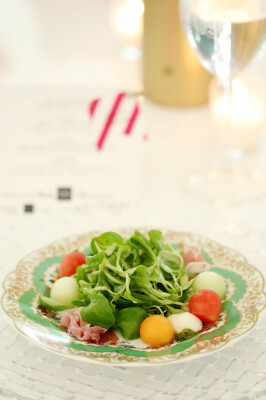 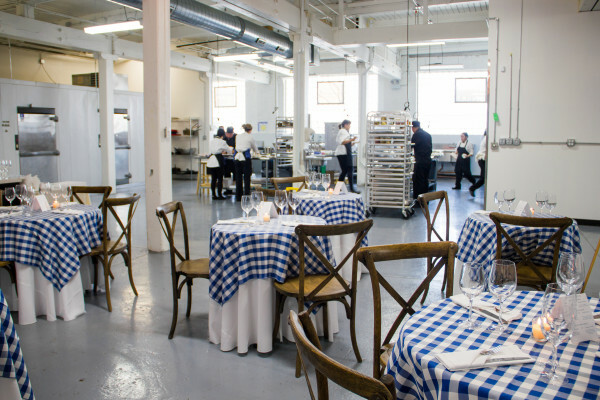 In house caterer Boutique Bites hosts private pop up dinners in the catering kitchen where guests can experience the behind the scenes activity of a full restuarant-style kitchen while enjoying a multi-course themed dinner under bistro lights. 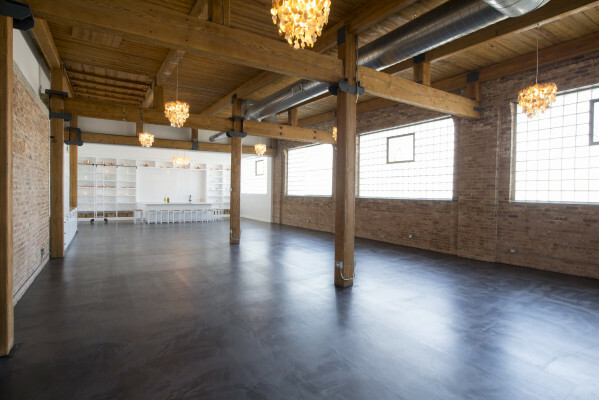 Napa Valley meets Nantucket in this fully restored, historic warehouse located within the popular Fulton Market District of Chicago's West Loop neighborhood. 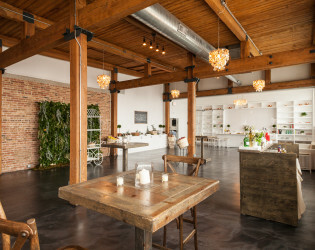 Guests are greeted with exposed brick walls, light wood beams, large windows flooded with natural light, white marble counters, and custom floor to ceiling shelving. BRIQUE's clean lines, custom details and cultivated interior enable you to feel like you are hosting an event in your own home and celebrating in style. 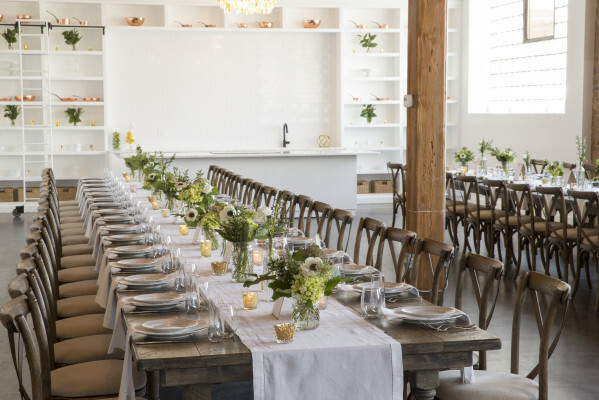 Customized built-ins include an eye catching all white show kitchen in the main event space with a 12’ high rolling ladder and over 40 shelves – a perfect space for floral and décor to compliment your event. 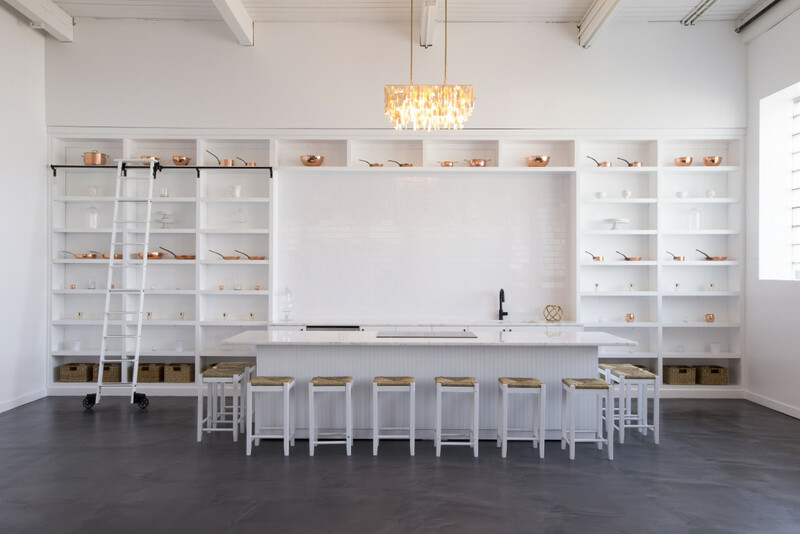 The 12’ long moveable marble chef’s counter includes optional seating for guests to relax at while a chef prepares items from your menu. 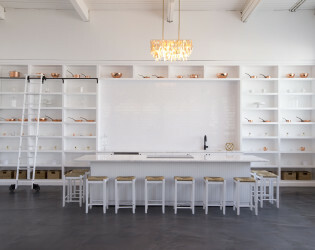 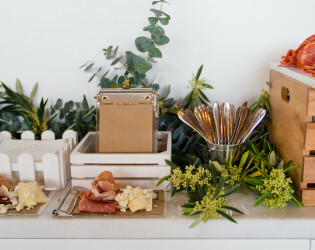 Nearby, a separate 14’ long permanent marble counter is ideal for food, beverage, and dessert stations. A classic white, wooden bar with black counter can be moved freely throughout the space, allowing for the creation of a custom floor plan. 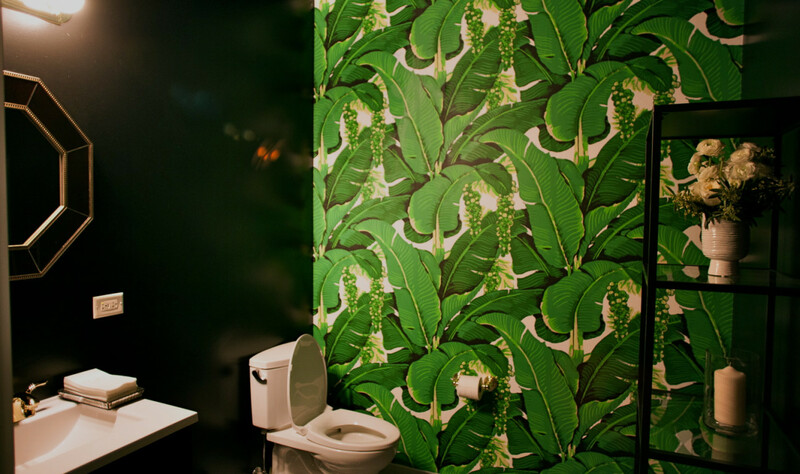 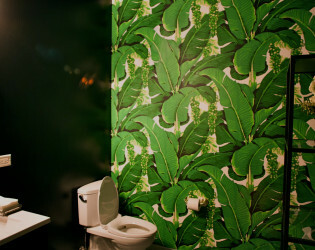 Every part of the venue design was carefully thought through including three uniquely decorated restrooms. Our Brazilliance bathroom features the iconic palm wallpaper which compliments the jet black ceiling and gold accented details. 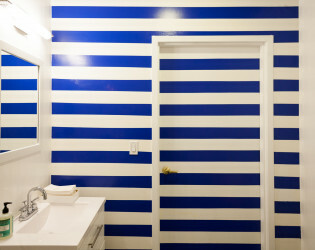 The Hamptons Chic restroom is a nod to classic east coast style with blue & white stripped walls and nautical touches. 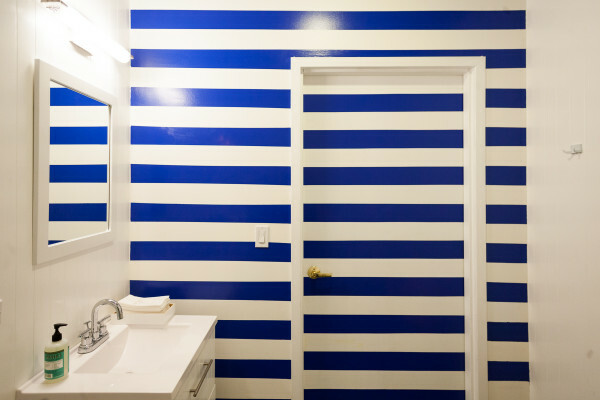 The bright, recognizable colors of Veuve Clicquot (orange) and Tiffany & Co. (blue) create a luxurious ambiance in the third appropriately named Lux bathroom. 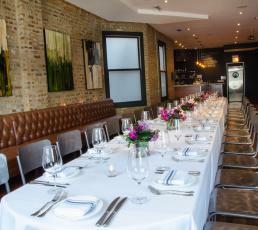 BRIQUE is an intimate, chef-driven venue located in Chicago’s West Loop neighborhood. 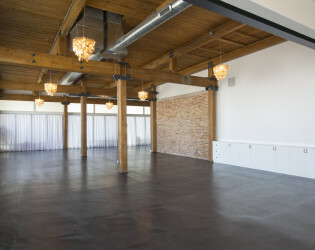 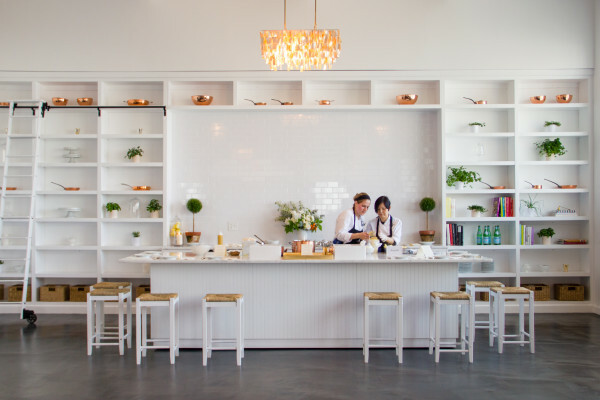 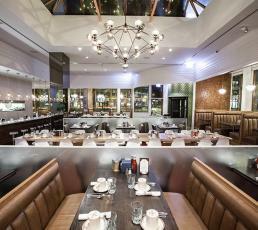 The space features brick walls, exposed beams, and gold capiz chandeliers. 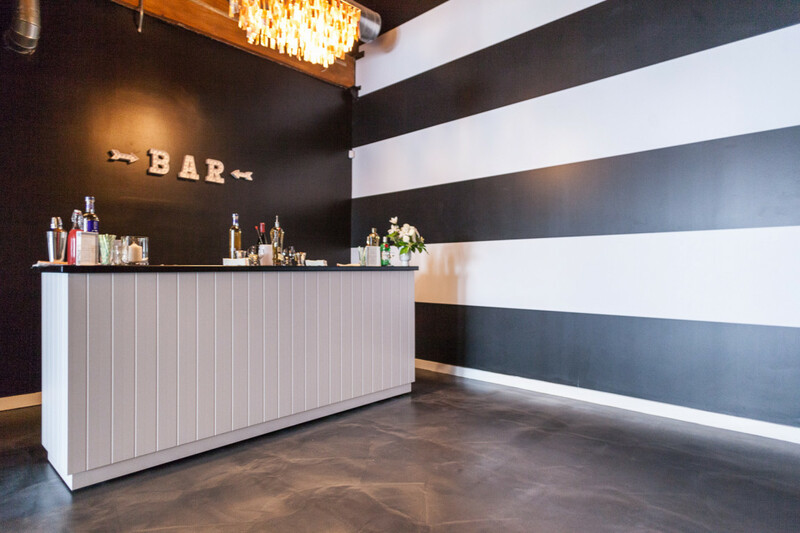 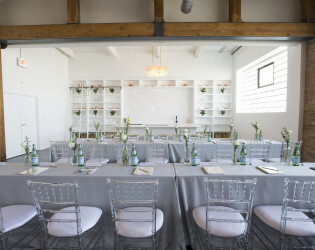 The dark gray finished concrete floors exude a cool, chic vibe which perfectly balances the nautical farmhouse look of the venue.